A few weeks ago I got into a friendly argument with friends at church about whether President Trump is a liberal or conservative. I said that Trump was a liberal while my friends said that he was a conservative. Today, as I went to vote in the midterms, I thought back to our conversation at church. I found myself wondering if perhaps Trump is actually “conservative” but in a new sense. Perhaps we are seeing a metamorphosis of what it means to be conservative, as the classic conservativism of thinkers like Russell Kirk and Edmund Burke recedes into anachronism. Throughout history, what it means to be “conservative” or “liberal” often changes. One of the things that struck me when I read John Ferling’s book Jefferson and Hamilton: The Rivalry That Forged a Nation is how the “liberals” or one generation become the “conservatives” of the next, and visa versa. For example, the type of “big government” advocated by Hamilton used to be considered conservative and was associated with hierarchical societies like Britain. In an American context, this type of political philosophy necessitated high taxes and favored policies of centralization over and against the autonomy of states. By contrast, Jefferson’s vision of an egalitarian agrarian-based society modeled on revolutionary France was considered the liberal option. His vision favored states’ rights and looked upon a strong government as a threat to liberty rather than a solution to human problems. 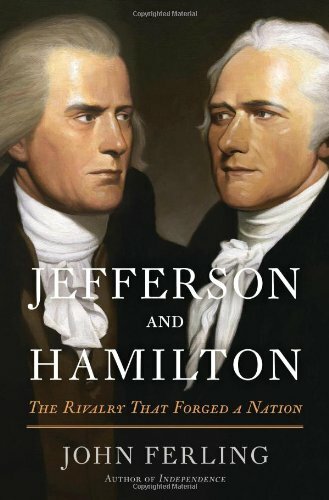 The rival visions of Hamilton and Jefferson impacted what thinkers they emulated, what they perceived the purpose of human society to be and even who they supported in the European conflicts. Interestingly, however, while the rival visions of Hamilton and Jefferson continue to dominate political discourse, those who follow in Jefferson’s wake of limited government, low taxes and decentralization are now considered conservatives while those who follow in Hamilton’s wake (big government, strong centralization and high taxes) are now considered liberals. The last hundred years are filled with many similar reversals. Thus, it was with some interest that I read McKay Coppins’s article in The Atlantic this morning. He discusses Trump’s success in remaking the Republican Party in his image and how, regardless of what happens in today’s vote, the overall trajectory is towards the wiping out of more traditional Republicans in favor of the President’s imitators and allies. But more is at stake than simply the direction of the Republican Party: over the last two years what it means to be an American conservative has changed at a whirlwind pace. When we understand conservatism in this historic anti-revolutionary sense, it begins to be clear how different the new Trump-style Republicans are. Insofar as the revolutionary impulse has found its apotheosis in Donald Trump, it is appropriate to describe him not as a conservative but as a liberal. His exploitation of the rifts in American society, his unabashed utopianism which places inordinate optimism in the power of the state, his frequent challenges to the very idea of objective truth, his promotion of a type of primitive tribalism, and frequent appeals to a Nietzschean “might makes right” philosophy, and his endorsements of mob violence against liberals, and the way he is changing our political norms at breakneck speed, all echo elements of the type of revolutionary thinking that 19th century conservatism rose up to oppose. No longer able or willing to appeal to the type of normative order that was a touchstone for historic conservative, the new Trump-style republicans take it for granted that there is no common framework for conversation. All that remains for politics to do is to become a competition of power between different groups. (I have discussed this in my article “2016 and the Triumph of Nominalism”.) Politics becomes a type of football match where all is well as long as your team is winning. Discourse becomes purely transactional, where what matters more than meaning is who comes out on top. As the revolutionary spirit gets a foothold in both the political left and the right, our democratic institutions begin to erode as a consequence. When Trump floats the idea of changing the constitution by executive order and the Left discusses changing the laws to enable them to pack the Supreme Court with liberals, what both sides share in common is a contempt for the permanent things of our American political order. Both sides are “revolutionary” in the true Burkean sense, willing to allow questions of statecraft to become subservient to questions of power. To conceive politics in terms of a competition for power between different groups may feel good when your side holds the reins, but it is a dangerous game to play in a society that is quickly becoming as volatile as ours. I argued elsewhere that the situation in America came to be akin to the state of affairs prior to the Civil War. In the antebellum period, the problem wasn’t simply the intractability of two opposing positions, each of which claimed to represent the true legacy of America’s founding; rather, the problem was the mutual incomprehensibility that arose from a complete breakdown of attentive communication. The resulting problems could only be solved through raw power, leading to the deadliest war in American history. The frightening thing about the present situation is that all the hallmarks of a pre-war period are substantially already in place. And President Trump is stirring the embers. From his intentionally incendiary rhetoric to his use of Twitter to insult various groups and people to his leveraging of identity politics, one would be forgiven for thinking that his number one aim has been to widen our nation’s social polarizations. In the process, public discourse ceases to have any rational footing and becomes a zero-sum game between winners and losers. Accordingly, when Trump reworks Thrasymachus’s argument in Plato’s Republic (i.e., justice is the advantage of the stronger, so that what matters more than truth and justice is who happens to be on top), he essentially concedes the primacy of power over politics, of sophistry over discourse, and of combat over statesmanship. He surrenders to the postmodernists and social marxists a world in which Left and Right are unable to transcend an increasingly hostile zero-sum conflict between winners and losers. In the process of surrendering to Trumpism, the Republican Party is in danger of shrinking to become merely the party of a particular demographic group. The narrative President Trump tells—which, in David Brook’s words, is that “the good decent people of the heartland are being threatened by immigrants, foreigners and other outsiders while corrupt elites do nothing”—immediately frames America’s issue in terms of us vs. them. Accordingly, immigrants and foreigners who might naturally have Republican instincts on social issues (i.e. Hispanic Catholics and Middle East immigrants) become alienated from a party that is increasingly only the party of the white middle class. Maybe it is unhelpful for me to say that the meaning of “being conservative” is changing. What we actually have in America today is millions of liberals who think they are conservative. Perhaps it’s time to educate the new pseudo conservatives about the rich intellectual heritage available. Maybe its time for a genuine anti-revolutionary conservative revolution. Where do we start? 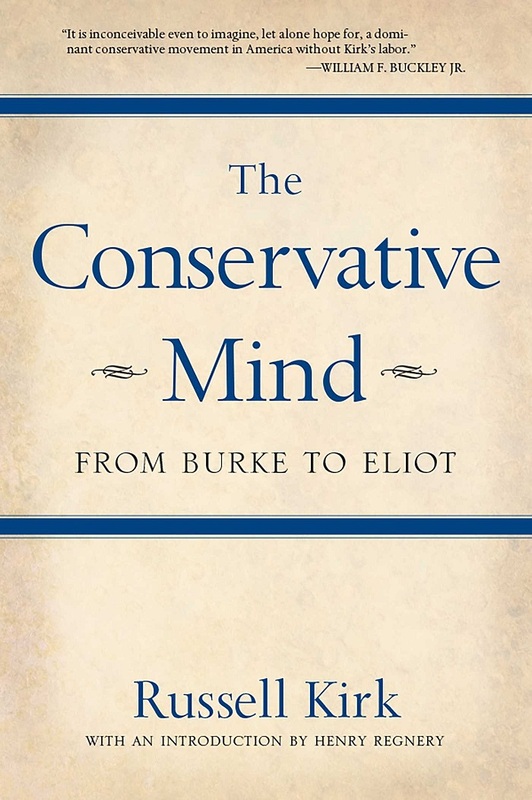 Read Russell Kirk’s The Conservative Mind. 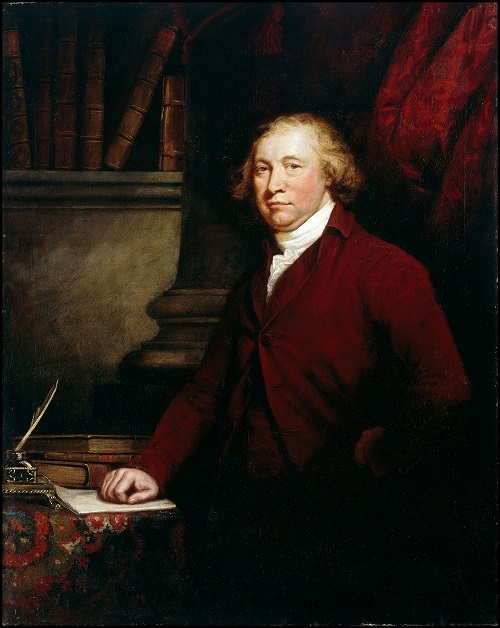 This entry was posted in Conservatism, Current Events, Donald Trump, Edmund Burke, Politics, Russell Kirk by Robin Phillips. Bookmark the permalink.